PEOPLE in Cardiff are being encouraged to get January off to a great start by making a date to join Cancer Research UK’s Race for Life. As an added incentive, there’s 30% off entry fees* during January with the code RFL30. This year, for the first time, Cancer Research UK is inviting everyone in the area – women, men and children – to join the Race for Life. There are events for people of all ages and abilities taking place at Cooper Field, Bute Park on 6th and 7th July 2019. Katie Cooze, Cancer Research UK’s South Wales Event Manager, said: “Our Race for Life events are fun, colourful, emotional and uplifting. They help people with cancer by raising money for research, including clinical trials which give patients in Cardiff access to the latest treatments. Cancer Research UK’s Race for Life, in partnership with Tesco, is an inspiring series of 5k, 10k and Pretty Muddy events which raise millions of pounds every year to help beat cancer by funding crucial research. She continued: “The Race for Life is a powerful, inspirational movement which unites participants in Cardiff with people across South Wales and the whole of the UK. “Taking part in our Race for Life events enables like-minded people to get together and remember loved ones lost to cancer or celebrate the lives of those who have survived. At the same time, they are helping to make a difference to people with cancer, right now. 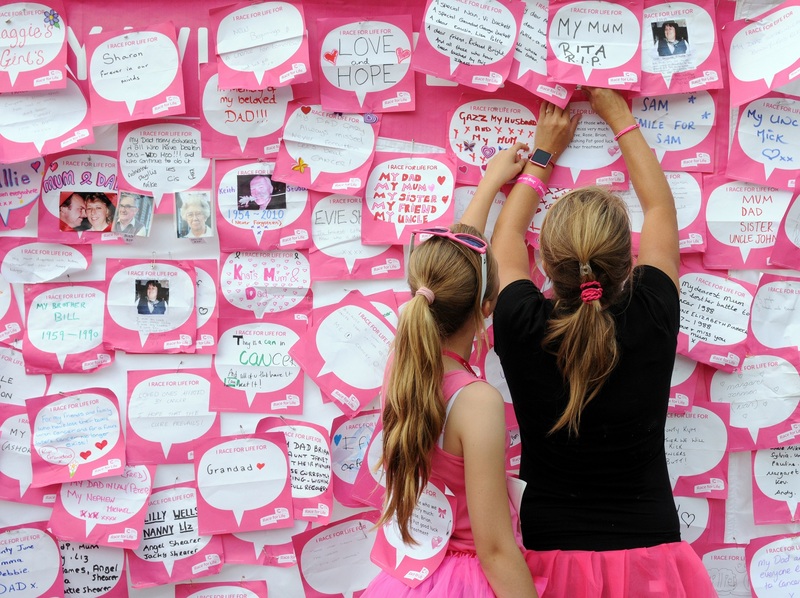 She added: “Our Race for Life events have been women-only since they started, over 25 years ago. But we now feel the time is right to open them up so that everyone – women, men and children – has the chance to participate together. “One in two people in the UK will be diagnosed with cancer, at some point during their lifetime. Sadly, this means nearly everyone is touched by the disease, either directly or through a loved one or friend. Thanks to everyone who raises money, Cancer Research UK is able to fund research to fight 200 types of cancer. The good news is more people are surviving the disease than ever before. Cancer survival in the UK has doubled since the early 1970s and Cancer Research UK’s work has been at the heart of that progress.